Of the people in the UK who are registered as blind or partially sighted, 93 per cent can see something. However, when people see a blind or partially sighted person with a cane or a guide dog, they assume that they can’t see anything which is often not the case. 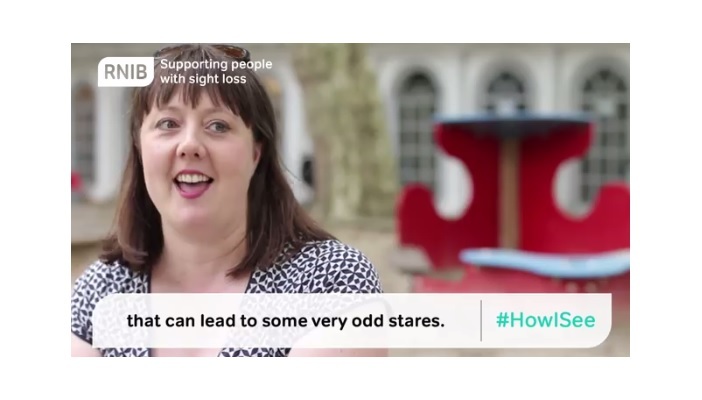 To help dispel some of the myths and misconceptions associated with sight loss, RNIB has produced a short film which features five blind and partially sighted people talking about what they can see and sharing their stories and experiences. The #HowISee film features the story of Marc Powell, 26, who is registered blind and represented Team GB in the London 2012 Paralympics. He said: “I have what I would call an invisible disability. In the past, when I have asked for help, many people look at me and assume I am being lazy. To find out more, visit RNIB’s #HowISee webpage or follow #HowISee on social media.